For those living in the big city, public transit is a very essential requirement. It’s cheaper and far more convenient, especially when considering the constantly rising prices of gas. There are a few companies which offer public transportation in Ontario and unfortunately, sometimes accidents tend to happen. This leads to a range of different personal injuries on the property of said companies. Dealing with the entire process to claim compensation is particularly complex. This is mainly because the majority of the victims is rather misinformed about the actual ways of protection. The assistance of an experienced lawyer is absolutely mandatory due to the fact that cases dealing with public transit accidents are complex and multi-layered. We at AG Injury Law Office have the necessary expertise as well as the experience and the resources to handle the legal teams of TTC, Go Transit and the remaining public transportation companies. Before you go ahead and talk with the insurers, give us a call and we are going to ensure that you get the maximum value for your injuries. Most commonly there is a time frame for filing your claims and if you haven’t dealt with such situations, you might not be aware of it. This is just one reason for which contacting a personal injury lawyer in Ontario is particularly important. Unfortunately, public transit drivers sometimes make mistakes. These could be caused by fatigue, negligence or over-exhaustion. In situations of the kind, devastating accidents could take place, hence leading to traumatic injuries. If you or someone close has been involved, we empathize with you sincerely. Legal remedies, however, are thoroughly required. Our experienced team of injury lawyers understands all the aspects of tort laws in Ontario and has what is needed to walk the extra mile in order to meet your requirements. In the majority of situations the lawyers of the opposing party is going to try to mitigate the damages or try to even conceal evidence so that the insurance company could issue a lower amount for the compensation. With our assistance, however, you can rest assured that this won’t happen as we do extensive checks, collect the evidence and put it all at piece in order to formulate a very strong case. This is why you might want to give us a call as soon as it’s possible. 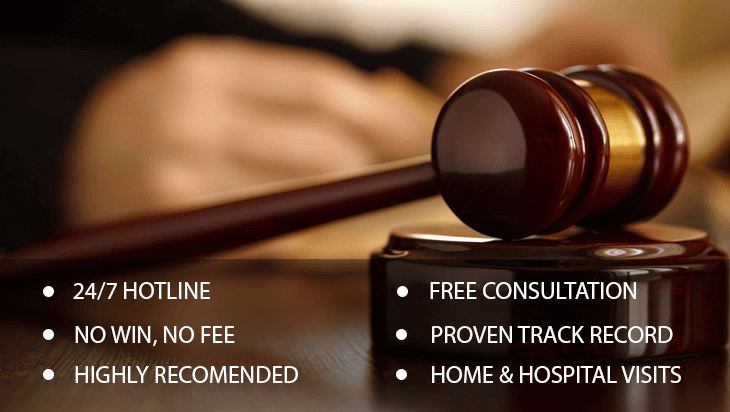 We are going to see that your case is handled and navigated by an experienced personal injury law and that the individual and custom attention is thoroughly provided. AG Injury Law Office is well aware of the fact that sometimes public transit drivers make mistakes. We, however, take a firm stand behind our clients in order to ensure that your injuries get thoroughly compensated. Give us a call and schedule a free consultation today.